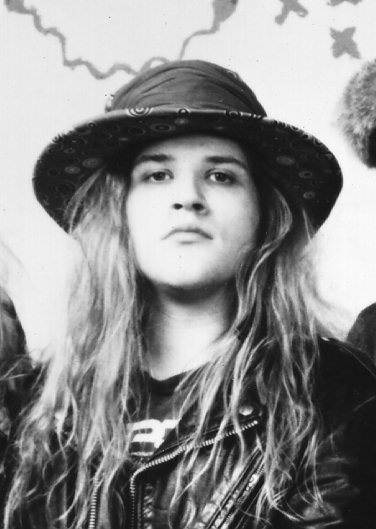 Andrew Wood was the leading vocalist in Malfunkshun and Mother Love Bone. He was born in 1966 and died in march of 1990. He died out of overdose just before the release of the first Mother Love Bone album, “apple”. After his death, Chris Cornell wrote two songs that, eventually, became a whole album. Yes, you know: the Temple of the Dog album. The main thing in Andrew Wood was his strong personality in scene, his voice (rather similar to the voice of Robert Plant, Led Zeppelin singer) and his sense of humour. In 1990, after his unexpected death, Mother Love Bone disbanded and Stone Gossard and Jeff Ament (members of MLB) decided to form a new band: that new band was about to be one of the greatests bands ever: Pearl Jam. By the way, both Gossard and Ament were playing with Cornell, personal friend of Wood and his housemate, in the Temple of the Dog album, who was a tribute band to Andrew Wood. Also, one of the greatests hits of Alice in Chains, Would?, is also dedicated to Andrew Wood. Years later, in 2005, the documental Malfunkshun: The history of Andrew Wood, was awarded in the Seattle Cinema Festival.